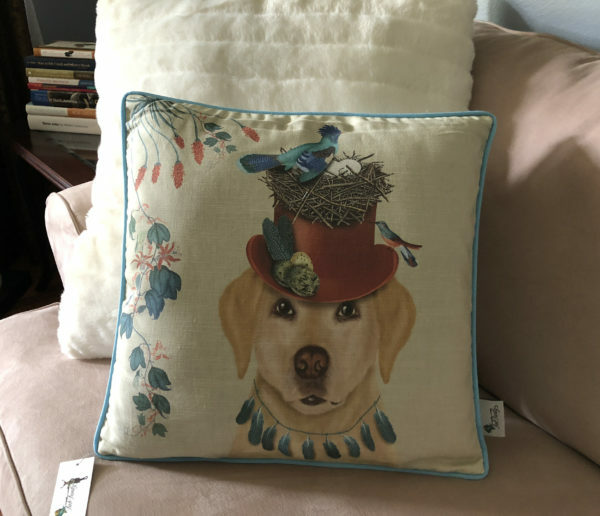 Featuring wildly extravagant hats and very patient dogs in floral framed settings, this stunning cushion features the infamous Yellow Lab and some friends taking residence in his fancy red top hat. 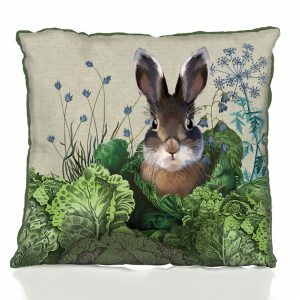 Brought to you from Sussex, England and designed by Kelly Stevens-McLaughlan, designer and artist behind the Fabfunky brand. 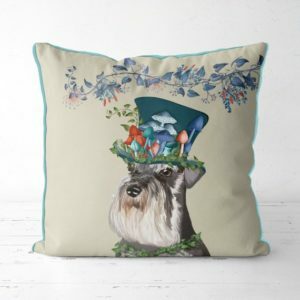 “Living right by the sea means that inspiration for coastal style work is literally on my doorstep and so some days I find myself creating nautical images that invoke thoughts of warm summer breezes and balmy evenings year round. 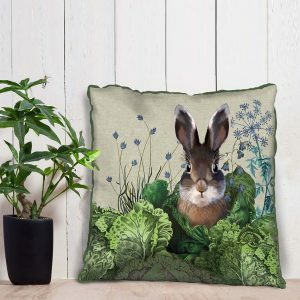 Whilst other days, I might find myself creating a rabbit dressed up like a regency style dandy.” This collection is all made in the U.K. and is sure to add a little dramatic style to your home. 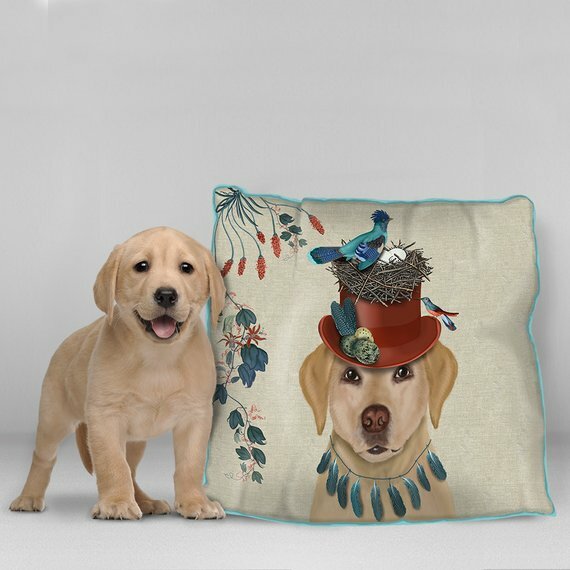 Featuring wildly extravagant hats and very patient dogs in floral framed settings, on a linen colored background, this stunning cushion has a coordinating piping around the edges and a zip fastener. 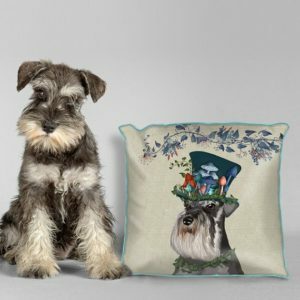 The exquisite and unique dog portrait printed onto this cushion is from our ‘Milliners Dogs’ collection. 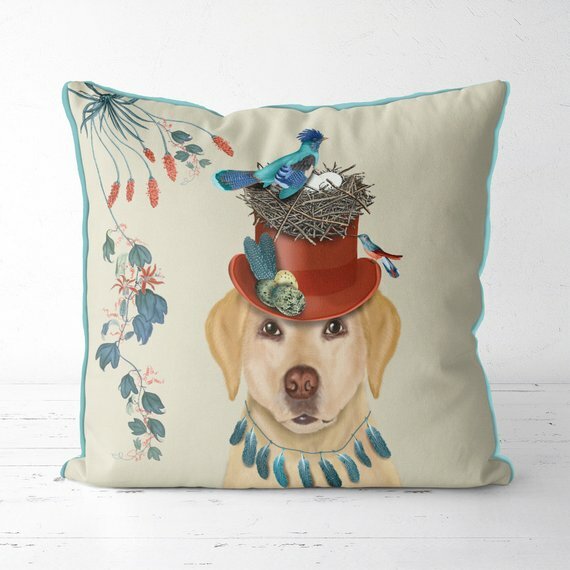 This is based on an imaginary milliner who uses his extraordinary skills and nimble fingers to create fantastical hats which are then gracefully modeled by his loyal dogs. 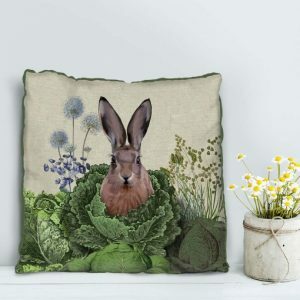 Has hidden zipper. 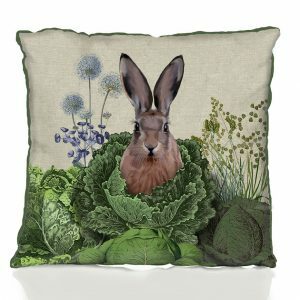 Fully washable at 40%. Fully colorfast. 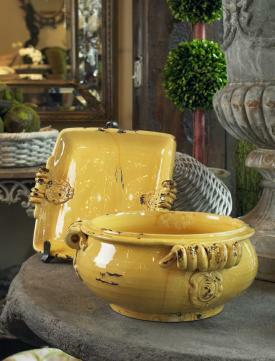 Removable poly insert.